This recipe uses quality cuts of fresh beef, which is premium in taste and nutrition. 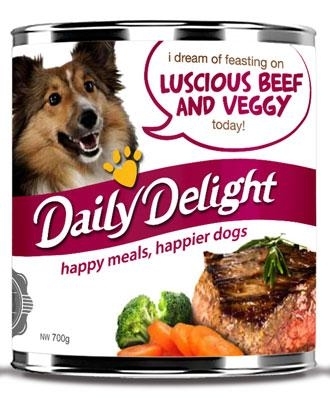 Daily Delight is a holistic blend of natural ingredients specially formulated for your dog. Lovingly cooked with quality cuts of meat, fresh, crunchy and vitamin-rich vegetables. It's undoubtedly a favourite among dogs of all sizes and breeds. 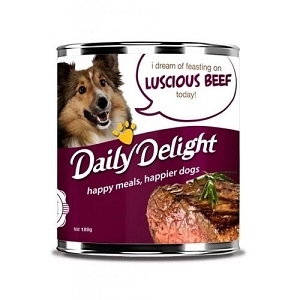 That rich, authentic beefy taste, with the goodness of vitamins and minerals from fresh vegetables. It’s a meal that’s just good all over. 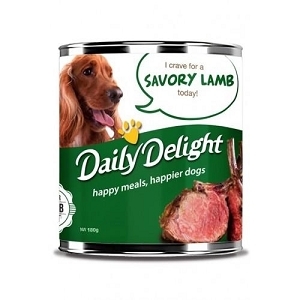 An enrich and well-balanced nutrition is indispensable to keep your dog fit. Well refined selection from blend of quality chicken, nutrition, vitamins and minerals. Shake well before use. Keep fresh water available at all times.